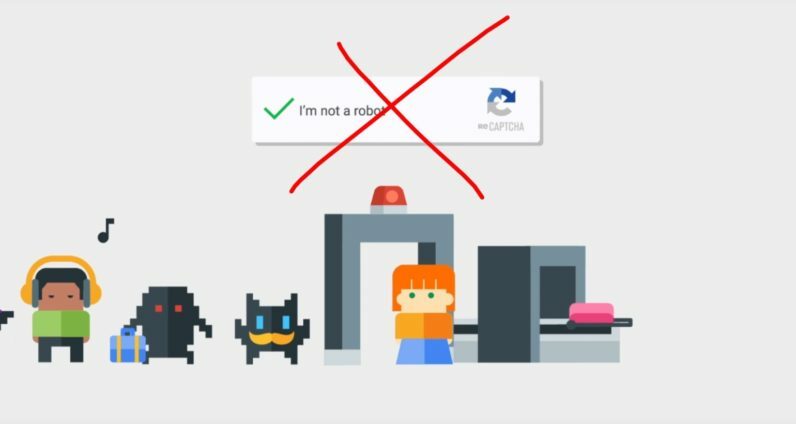 Google's security AI is now so smart it doesn't need to ask if you're "not a robot"
Google’s security AI has become so smart, it can now tell whether you’re a human or a robot without asking you to check a box or solve annoying puzzles… most of the time, anyway. We’ve all come across CAPTCHAs, those challenges that ask you to type in the characters you see in scrambled images (the a acryonym means Completely Automated Public Turing test to tell Computers and Humans Apart). As bots and spammers became more sophisticated, it seemed CAPTCHA’s were getting harder and harder for even regular old humans to solve. It was a small annoyance, but an annoyance nonetheless. Then in 2014, Google announced the ‘reCAPTCHA,’ which did away with the puzzles in favor a simple checkbox. Google would analyze various aspects of your behavior on the site to determine whether you were a human (a robot, for instance, might always click dead center on the checkbox, unlike a human). If there was something suspicious about you, you might be asked to a simple puzzle, but the vast majority of times, the checkbox was all you had to use. That means most people won’t even know there’s a security check going on. Only the “most suspicious traffic” will be asked to solve a puzzle, but developers can alter this behavior to some degree.